Amazon left nothing to chance with the third generation Kindle, and that includes the possibility of their iconic e-reader falling out of a protective cover. 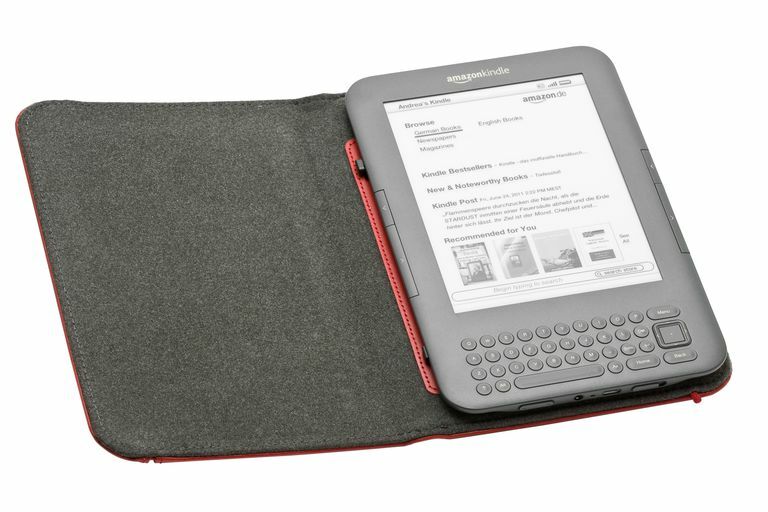 The design includes two special slots on the side of the e-reader that allow it to securely latch into a cover designed for the Kindle. It works great, but a quick glance of the Kindle discussion boards shows that, while securing a Kindle 3 to a new cover is a snap, more than a few people have run into problems trying to remove the cover afterward. There's a slight trick to doing so; all you need to do is follow the three easy steps listed below. Set the Kindle on a table or other stable surface and open up the cover. Note the metal nub sticking out about two-thirds of the way from the top of the Kindle. This is the locking mechanism and the primary source of your frustration -- you can't simply pop it out without damaging the cover and/or your e-reader. This is a two-part step. First, push that metal nub (or latch) down, in the direction of the bottom of the Kindle. It should slide down by a fraction of an inch. This releases the latching mechanism. Next, push the top of the Kindle horizontally, away from the metal nub. At this point, the top of your e-reader is free, but the bottom slot of the Kindle is still attached to this devious crescent-shaped hook. The final step is to free the Kindle from that crescent hook. Simply rotate the Kindle away from the upper hinge using the bottom hinge as the pivot or point of rotation. Your Kindle 3 is free of the cover.